By the sheer numbers of flowers that I see around me I can safely declare that spring is in the air. But this time it is a strange spring. Monsoon has got mixed with it somehow. I have never seen so much rains in March in recent times. 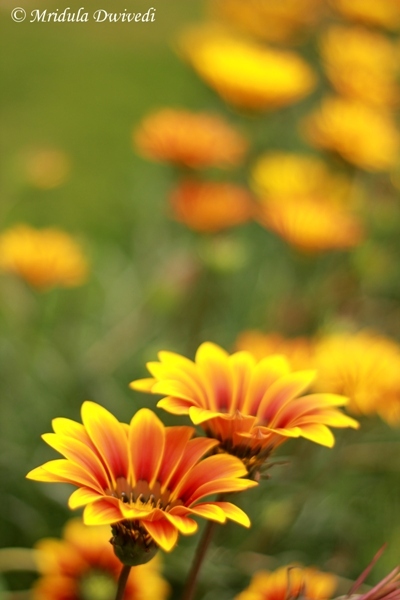 At one point many flowers bowed down because of the rain but they are smiling again. 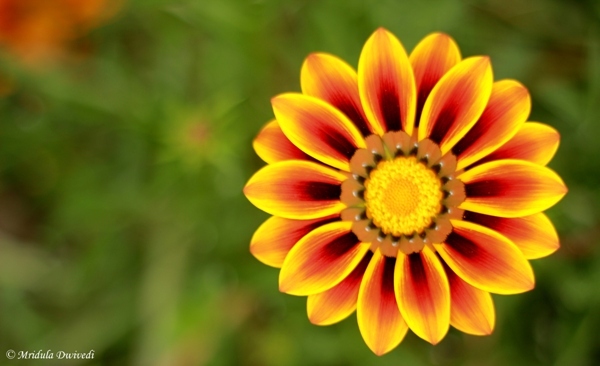 Gazanias are a delight to photograph, they are not fussy, from any angle they turn out well. They are such a feast to the eyes too. 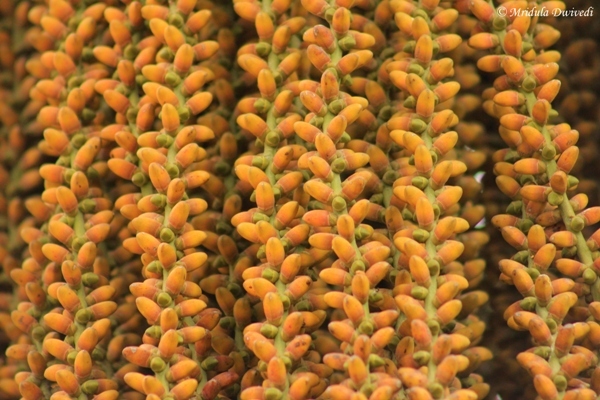 And these are fancy date palm fruits, once I managed to click a parrot in their midst as well! While I was outdoors in the afternoon it was threatening to rain! But the treat didn’t materialize! I hope it will not pour on Monday though. I went a little overboard with gazanias. They are so pretty, it is difficult to resist their charm. I have actually clicked many more, but then, I will restrict myself to three! I actually do not know the name of the flowers but I find them using the Flowers of India website. It is an exercise in patience as I have to browse page by page and identify the specific flower I am looking for. And then I forget the name the next time again! 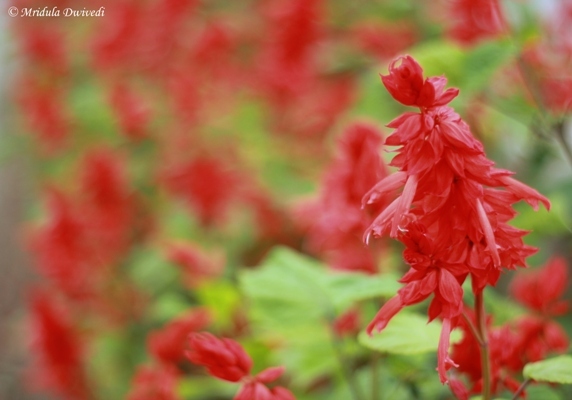 I hope I will remember the name scarlet sage. 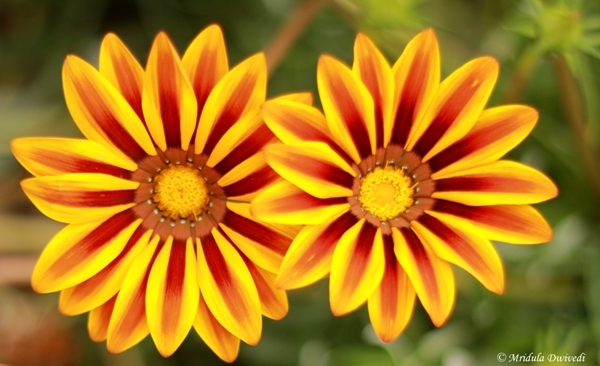 See I had so many gazanias to choose from. Let me know which one out of the three you liked most. On Flowers of India website these flowers are showcased on page 24 or so. 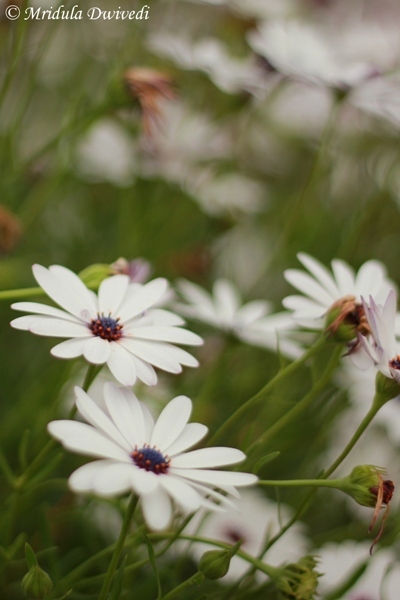 I had to browse 24 pages to get the name- White African Daisy! The pity is that I will forget it again. 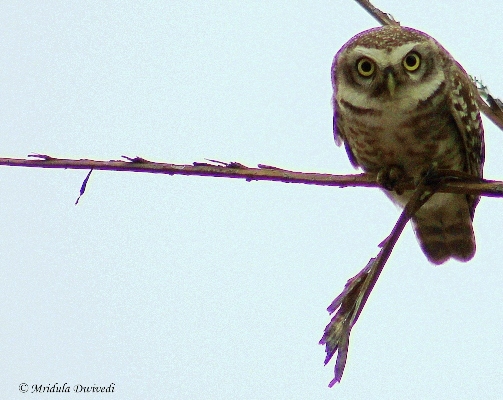 I will throw in the spotted owlet along with the flowers as I found them on a tree near the flowers. There were two of them and from their behavior I suspect they have a nest out there. So I didn’t try to get very close, I have mercilessly cropped the picture to get this effect. So do you have a favorite among these? 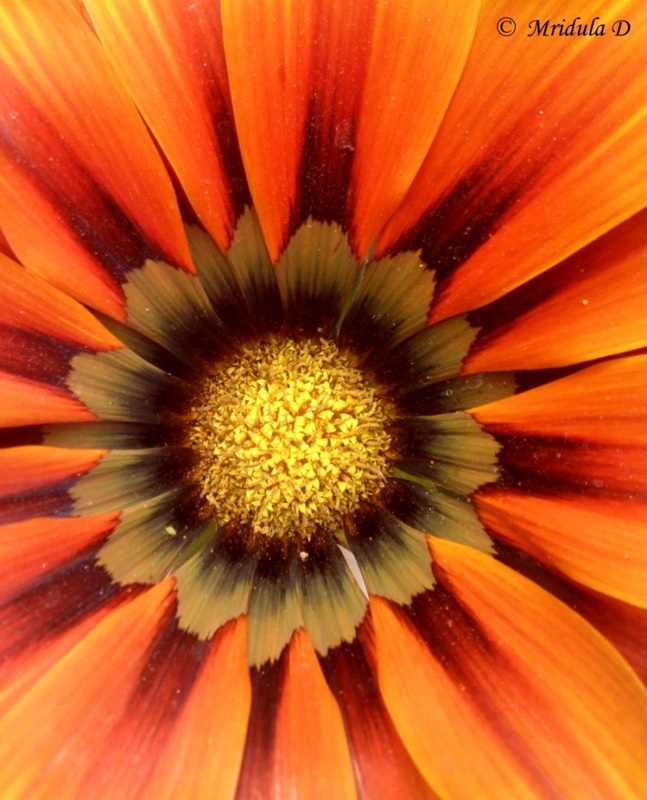 Had clicked these Gazania flowers in winter with my cell phone. 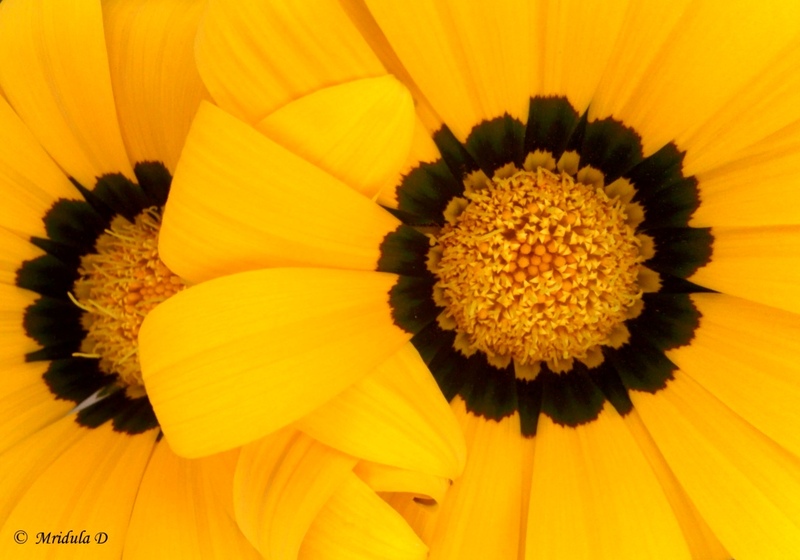 Such a sunny and cheerful picture they paint!